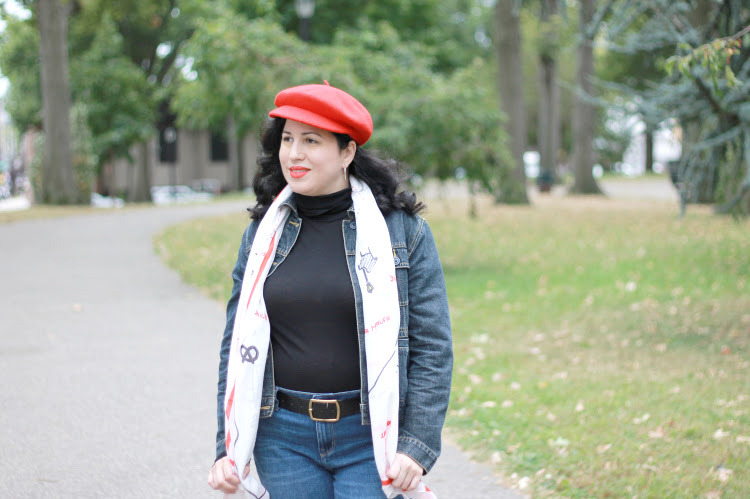 "Tis the season for Fall jackets and scarves. 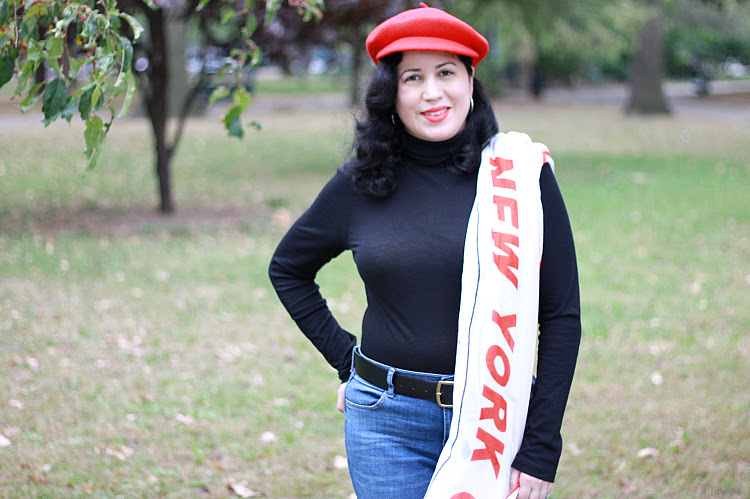 One of my favorite accessories for the fall is a long scarf. Not the knitted kind, which I save for the winter weather, but the cotton sort that can be easily wrapped around your neck for warmth yet light enough not to make you sweat under all your fall layers. 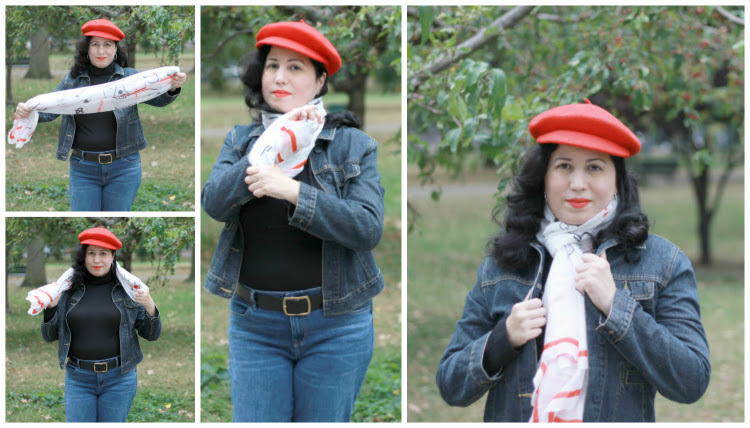 I thought I would share with you four fun ways that you can wear a scarf. 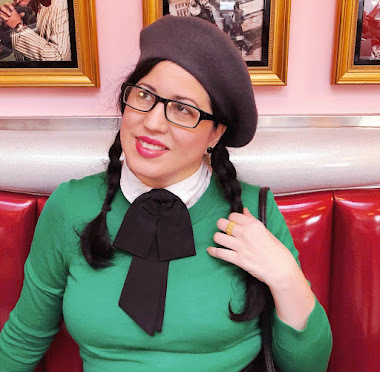 These are four easy peasy ways to accessorize and bring some character to your outfit. 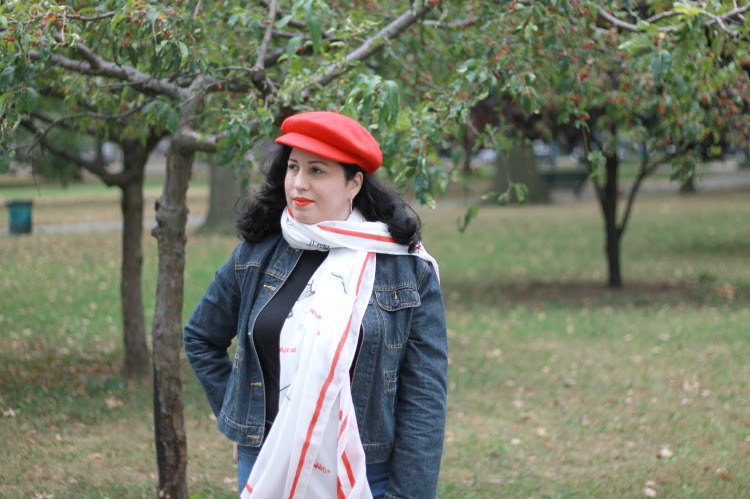 Th use of scarves has been in vogue throughout the fashion of the last century. Tied around the neck, used as a headband, covering hair during wartime, or even used like a shawl. 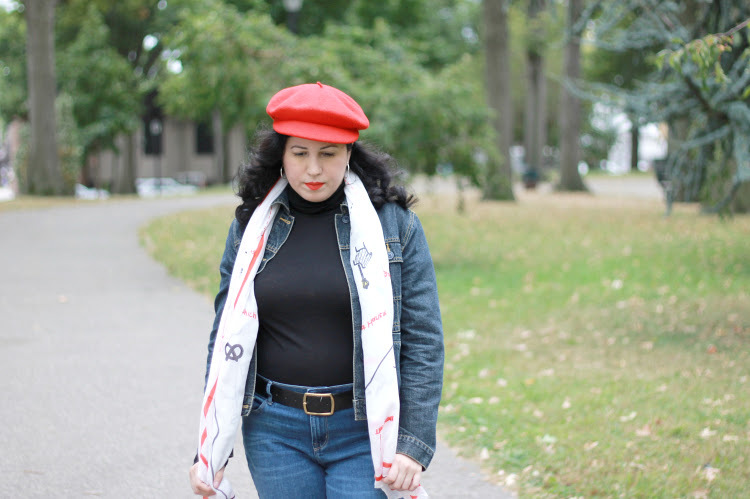 Sometimes wearing vintage can be as simple as wearing an accessory in a vintage manner to accentuate your outfit.